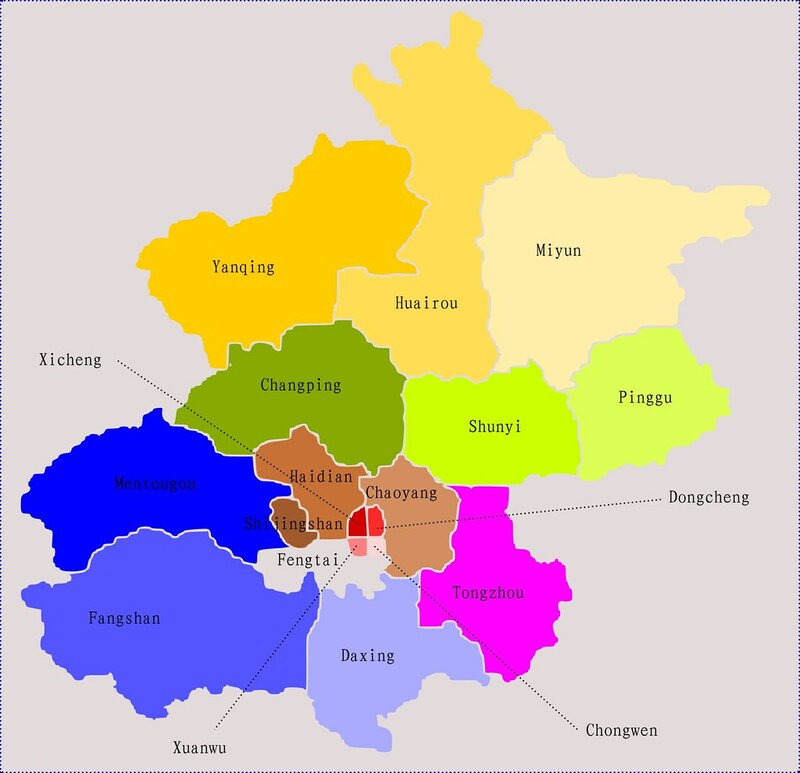 Beijing cosisits of 18 districts and countries, 16 of which are districts (Dongcheng, Xicheng, Chongwen, Xuanwu, Fengtai, Haidian, Chaoyang, Fangshan, Shijingshan, Tongzhou, Huairou, Mentougou, Changping, Pinggu, Daxing)while 2 of them are countries (Yanqing and Miyun). Beijing stands 183 kilometers (114 miles) northwest of the Gulf of Bohai, the seacoast. Beijing District Map show the specific location of each districts, it’ll provide convenient to your Beijing Trip.